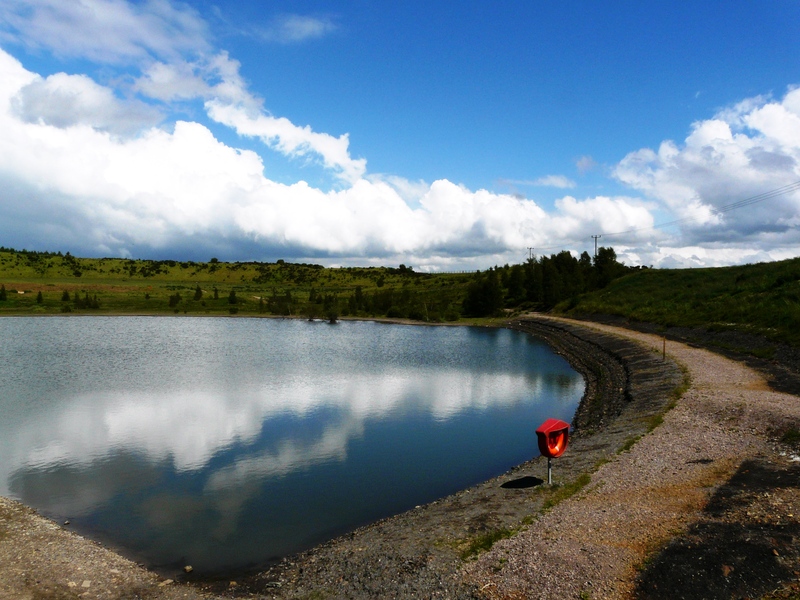 This picturesque 83-hectare park was created on the former Silverdale Colliery and provides an enticing venue for the public to enjoy and where nature can thrive. The Waste Farm Plateau is a scenic largely open grassland landscape with a number of distinct level changes created as a result of the stockpiled colliery spoil. The plateaus are separated by embankments colonised with natural grass, wildfl owers including orchids and young trees. The highest point of the plateau, affords extensive views to the surrounding area. Skylarks are already abundant on the park in spring time and great crested newts can be found in the small ponds. A large pond, known as Furnace Pool, is leased by the Silverdale Angling Society, although it is inaccessible to the public, many local people are members of the society. The second area, The Void, is a spectacular steeply sloping bowl. The striking Southern Pool dominates the base of the bowl and attracts a variety of wild fowl, whilst birds such as Lapwings and Plover nest around the surrounding shallow wetlands. Buzzards can often be seen hunting over the wetlands, a testament to the rich wildlife on the park. In January 2015 The Void area of Silverdale Country Park was designated as a Site of Biological Importance (SBI) because of the important wildlife habitats in this half of the park. The Parish of Silverdale’s roots lie firmly in an industrial past. 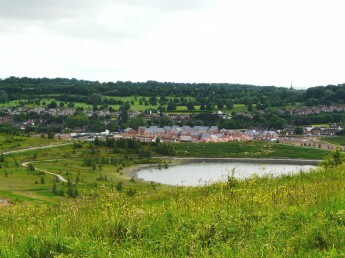 Under the country park’s lush grasses lies rich deposits of iron ore, coal and gas, valuable resources that were mined from the late 18th century till Christmas eve 1998 when the Colliery closed. In 1792 Silverdale Ironworks began to mine iron ore, however, it wasn’t until 19th century, as the demand for coal and iron increased, the village rapidly expanded to accommodate the industry’s growing workforce. Silverdale’s streets still bear the impact of this expansion with many Victorian houses and terraces populating the area. An abundance of raw material and a strong local workforce wasn’t enough to ensure the success of the village industry. In 1848, landowner Ralph Sneyd, of the Sneyd family, Keele, introduced railway links that connected the village to the rest of the country via a labyrinth of trains, canals and horse power, exporting essential cargo to the Potteries and beyond. The park was created on the former Silverdale Colliery as part of a restoration project funded by the government’s Homes and Communities Agency (HCA), using money from their National Coalfields Programme. The former colliery ownership has been transferred from the Homes and Communities Agency to the Land Trust to manage the site as a public open space for people and wildlife. 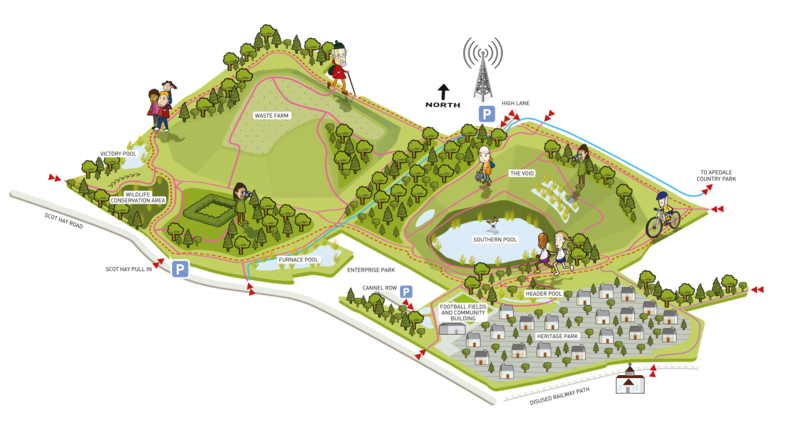 The Land Trust works with local organisations to ensure that spaces, such as Silverdale, can be used by the community. 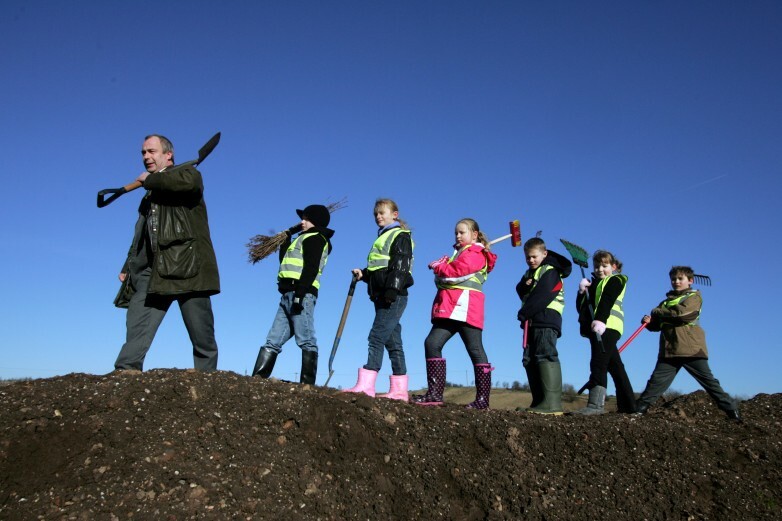 Groundwork West Midlands will manage the park on a day to day basis on its behalf.